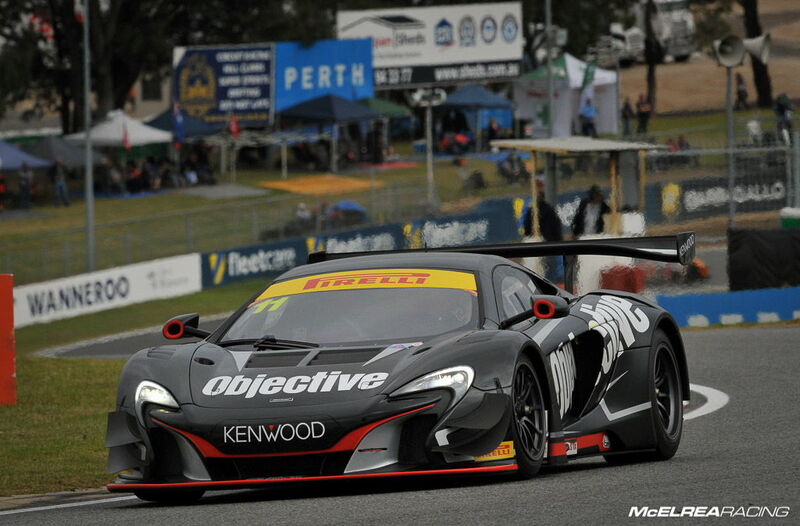 Before heading to Sydney for the Porsche Rennsport Motorsport Festival last weekend we had prepped and loaded the Objective McLaren to take the 4 day trip across to Perth for Round 3 of the Australian GT Sprint Championship. It was to be Tony's first time at the tricky WA circuit so we were looking for a solid but consistent weekend. The wild weather in Perth over the weekend gave Tony plenty of wet-weather driving in the practice sessions at Barbagello which made it difficult to learn the idiosyncrasies of this demanding track. 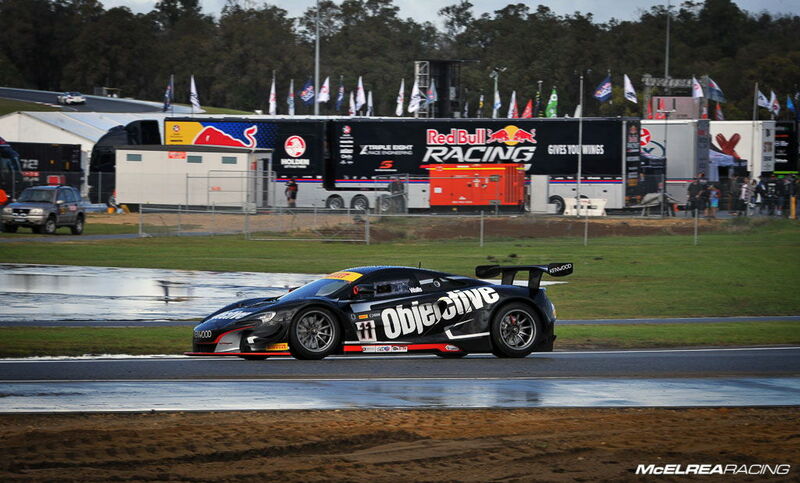 He qualified 17th outright and 3rd in the 'Gold Drivers Cup' on a drying track. In race 1 he had a strong start and had a good pit stop changing four tyres to finish 10th outright and 4th in 'GDC' class holding off a fast finishing Scott Taylor. Race 2 was marred by an accident when our good mate (and Matts' co driver last weekend at Rennsport) Geoff Emery crashed heavily after contact with another competitor bringing out the red flag and a 20 minute delay. Once the track was cleared and it was confirmed he was OK the race restarted and Wallsy did a good job to circulate at the same pace as cars well-inside the top ten. His effort was rewarded with 1st in 'Gold Drivers Cup'. The GDC is a championship within a championship for semi-professional drivers. It was a productive weekend for Tony bagging a 1st and 4th in the 'Gold Drivers Cup' and he now sits 11th in the AGT Championship and a close 2nd from the ten drivers in the GDC. We don’t need to wait long until the next round at Phillip island in three weeks.